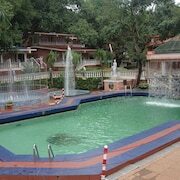 Situated in Matheran, this resort is 29.6 mi (47.6 km) from Titwala Ganesh Mandir. 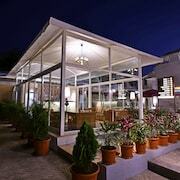 Situated in Matheran, this spa resort is in the same region as Karnala Bird Sanctuary. 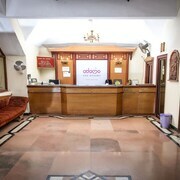 Situated in the city centre, this hotel is in the same region as Karnala Bird Sanctuary. 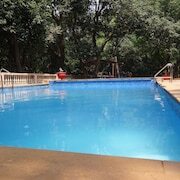 Situated in Matheran, this resort is in the same region as Karnala Bird Sanctuary. 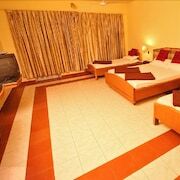 This family-friendly hotel is located in Matheran, near regional attractions including Karnala Bird Sanctuary. 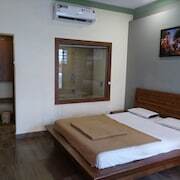 Situated in Matheran, this hotel is in the same region as Karnala Bird Sanctuary. 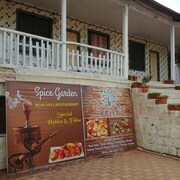 Visitors can enjoy all that Matheran has to offer including its mountain views. 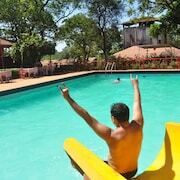 In Matheran, there are 7 hotels and other accommodation options to choose from. The closest major airport is in Mumbai (BOM-Chhatrapati Shivaji Intl. ), 26.9 mi (43.3 km) from the city centre.